evergreen songs , golden voice,super songs. Ms. Jency songs with Illayaraja combination is still remembering my old and golden eras. I am 56 now and travelling frequency to China. Every Day, I used to hear only Ms. Jency songs in China, which is almost 200 days in a year. 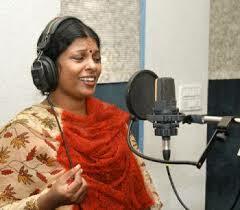 I am addicts to her voice, especially in Pudiya Vaarppugal of Ms. Rathi Agnothari. I totally accept your comment. Jency’s voice is inimitable and yet to be substituted. 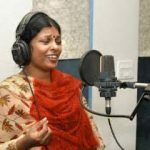 Another information I have with me — correct me if I am wrong — Jency has sung only 24 songs with Tamil!!! (This information was shared by some of my friends). All them are studded with precious diamonds. The question remain to be answered — because of Ilayaraja the songs are very good or off Jency’s voice. Greatest voice indeed. Its a blend of All times greats like Janaki, Vani Jayaram and P.Susheela. Long live Jency and Ilayaraja. You are belongs to which part of India? 24 songs of Jency in Tamil are precious stones, of course. It is like Sivan and Parvathy. It is not because of Ilayaraja nor Jency. It is because of Ilayaraja & Jency. More interestingly – Is Ilyaraja has perfectly selected Jency for these precious stones. I am not very sure how to get the songs in my mobile. Could you pls help on this. I also like you, I am not much familiar in system. I used to listen from PC, especially in China, where I always in alone. Kindly try through some body else. Sorry. what the bests song by jency must give thank to Ilayaraja sir. Can anyone let me know where I can download Old Jency songs as I am one of her million fans. Also would like to get 70’s Ilayaraja hits to load in my android phone. Hope someone can help me on this please. We need your tone in new songs. Again and again I am saying, Jency voices are taking me back to my teenage era with my love affair. Whenever, I wants to remember i.e., Malarum Nenaiuagal, I used to listen only Jency in Pudiya Vaarppugal of Ms. Rathi Agnothari i.e., Idhayam Poguthae. jency madam songs kedkum pothu manithirkul inampuriyatha…oru thedal…oru eakkam…….Greatest…evergreen singer..idhayam poguthey…adi pennee…theiveega raagam…enn vaanile…mayile mayile…..enniyur neethaane…meenkodi theril..tamdhana tamdhana…paniyum neeye….kadhal oviyam…aayiram malargale…geetha sangeethaa..poo malarnthida………….OHH Jency…come again…. ஜென்சி பாடல்கள் கேட்கும்போது என் பதின்வயதில் பக்கத்து வீட்டு உறவுப்பெண்( தற்போது உயிடருடன் என் நினைவில் மட்டும்) செல்வி வயதாலும் அன்பாலும் மூத்தவர் , எந்த திண்பண்டம் செய்தாலும் சுவர் எட்டி தருபவர் … நினைவுக்கு வரவழைக்கும் குரல் … நன்றி ஜென்சி அவர்களே. The voice of Ms, Jency is really so wounderful. When ever I hear her voice , it’s brought my school golden days. Thanks Jency Mam.